Surprise. We have what will probably be the final trailer for Avengers: Endgame. And it brings one full minute of all-new footage. The trailer arrives with news that tickets are finally on sale for what is definitely the most anticipated movie in Marvel's history with the MCU, and possibly the most anticipated movie of the year. People really want to see this thing. And this is perhaps our best look yet. Tickets are now on sale everywhere tickets are sold! Also, watch the special, brand-new look at Marvel Studios' Avengers: Endgame, which shows the heroes preparing for a final battle with Thanos, who wasn't around in the second trailer that was release. He's back and badder than ever in this latest look. Check this out, too! In 12 North America theaters (11 U.S. and one Canada), fans will have the chance to experience the Marvel Cinematic Universe like never before at the Marvel Studios' 22-Movie Marathon. 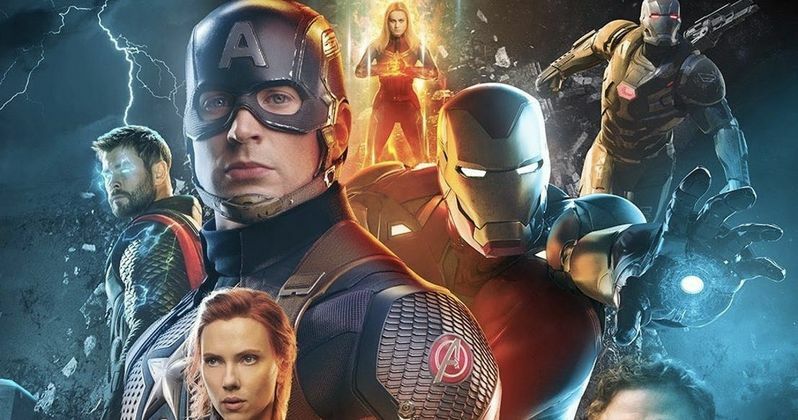 Starting Tuesday, April 23rd, fans will be able to see every film in the MCU, culminating with Marvel Studios' "Avengers: Endgame" at 5 p.m. local time on Thursday, April 25th. For more information about this big event visit fandango.com. It's not about how much we lost, it's about how much we have left. Marvel Studios' Avengers: Endgame opens in U.S. theaters on April 26. Adrift in space with no food or water, Tony Stark sends a message to Pepper Potts as his oxygen supply starts to dwindle. Meanwhile, the remaining Avengers, Thor, Black Widow, Captain America and Bruce Banner, must figure out a way to bring back their vanquished allies for an epic showdown with Thanos -- the evil demigod who decimated the planet and the universe. Marvel's Avengers: Endgame features an ensemble cast including Robert Downey Jr., Chris Evans, Mark Ruffalo, Chris Hemsworth, Scarlett Johansson, Jeremy Renner, Don Cheadle, Paul Rudd, Brie Larson, Karen Gillan, Danai Gurira, Bradley Cooper, and Josh Brolin. Get ready for the ride of a lifetime.